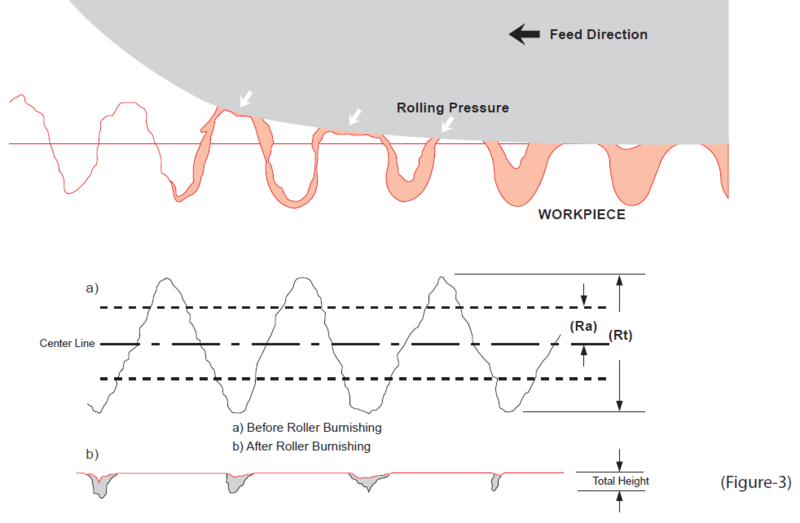 Roller burnishing process cold - works metal surfaces to produce a uniform, dense, low micro surface finish. The fact that ROBUTO® does not remove metal - thus does not produce chips - enables the tool to offer a variety of advantages, most of which are not obtainable with other finishing processes such as reaming, boring, and grinding. The chipless finishing process, roller burnishing cold - works metal under relatively small forces. These forces slightly exceed the yield strength of the material causing a plastic deformation of its surface material. Because the plastic deformation occurs under the recrystallization temperature this process is called cold working.